Nothing is more important to us than having you at our Fruitful Legacy Conference, at New Life Fellowship International Ministries; beginning Wednesday, September 19, 2018 and ending Saturday, September 22, 2018. Please consider making this a priority. Everything at this conference will be based on business & relationship building. To us you’re not a conference constituent, You’re a member of our family. We love you as a family member, and cherish our times together. This is more of a family reunion than a conference. We just happen to have Global Ministry Leaders in our family that are shaking the world for Jesus. So update your calendars now! We would really love to see you there. We have a big family and want all of our spiritual children around our Kingdom table. Registration begins June 3, 2018 and ends September 21, 2018. 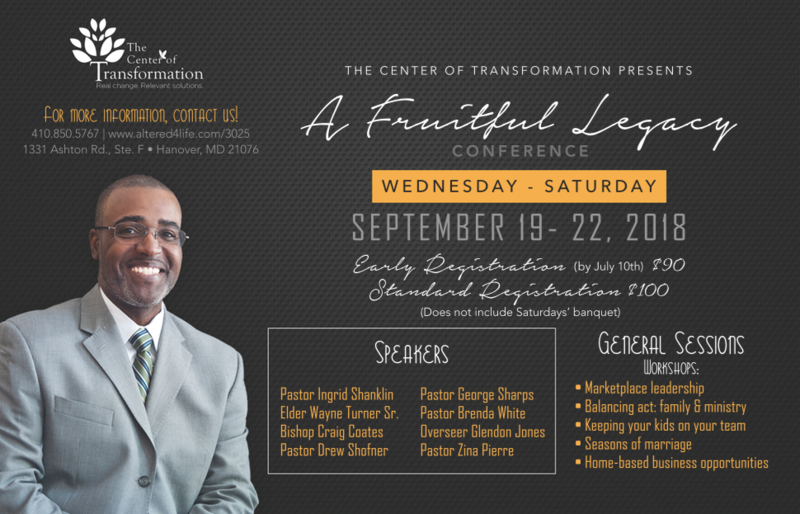 If you are interested in attending a life changing conference register by going to www.legacy3025.org or by clicking the “Fruitful Legacy Conference” button at the top. Early Registration ends July 15, 2018.